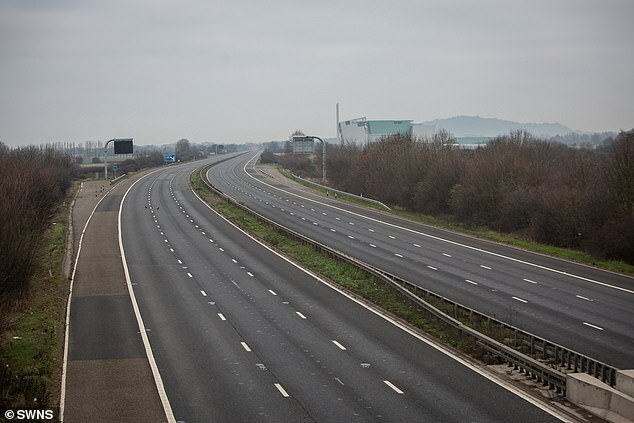 A pedestrian has died after being hit by a car on the M5 this morning, leading to the motorway being closed in both directions for ‘hours’. The collision took place on the M5 in Gloucestershire near junction 13 for Stroud this morning. Initial reports suggested multiple vehicles, including a van, where involved in the horror smash. When contacted by Mail Online, Gloucestershire Police said they are still investigating the cause of the crash and do not yet know how the man ended up on the motorway. In a statement, the police said: ‘We were called to the southbound side of the M5 just after 7.30am. ‘The man (the pedestrian) was declared dead at the scene. No one else was injured. ‘The road remains closed between junction 12 and junction 14 southbound and between junction 13 and junction 12 northbound while a serious collision investigation takes place. Diversions are in place between junctions 12 and 14 southbound and junctions 12 and 13 northbound, near Gloucester. 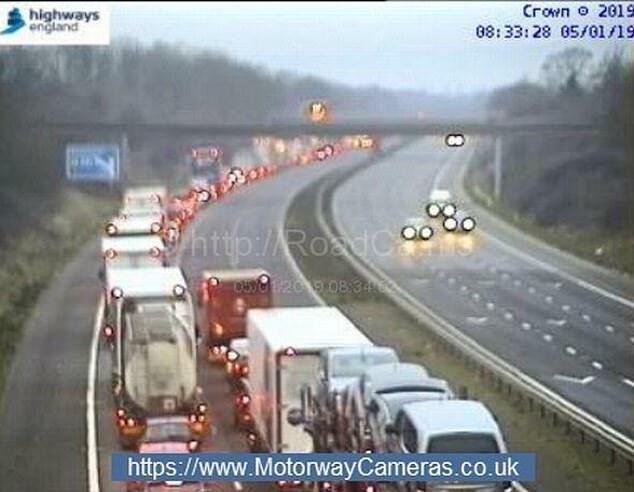 The crash was near junction 13 on the southbound side and emergency services were called just after 7.30am on Saturday. Gloucestershire Police said in an earlier statement: ‘Officers are at the scene and the M5 has been closed while a serious collision investigation takes place.